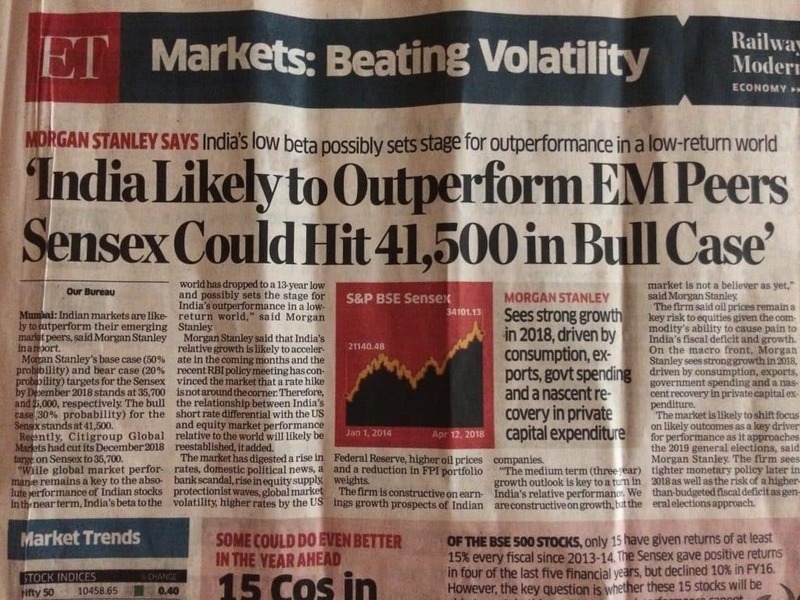 Sensex will be above 40,000 in 3 Years. One of the common questions which Investors ask from me is whether this is right time to invest or they should wait for a correction to enter the markets….. In my view, this question is irrelevant for long term Fundamental investors…. It is foolish to wait for correction or to time the market to enter in stock market….. Best approach is to keep on investing in quality stocks whenever you get funds…. Equity is the best performing asset class in india in last 25 years beating all other asset class …..In his best selling book ‘The Intelligent Investor’, Benjamin Graham also said that investors should not try to time the market and instead keep on putting money in fundamentally strong undervalued stocks…. I will give you an example why you should do this….. Suppose I tell you one stock of 100 Rs which in my view will double in one year to 200 Rs….. Now your question is whether you should invest right now or wait for a correction…. This mindset is dangerous in stock market because of two reasons….. First reason is that no one can predict the market direction in short term….. and secondly suppose even if your prediction of market correction becomes true and the stock becomes available at Rs 90….. So you got benefit of 10% by investing at 90 instead of 100…. But suppose your prediction of market correction does not come true and stock goes up from 100 instead of coming down, then you will miss that 100% rise which I predicted on the basis of sound fundamentals….. So in your effort to save 10%, you can miss profit of 100%….. So risk reward ratio of that mindset of ‘waiting for correction’ is heavily against you…. In that mindset, chances of losing opportunity profit are much more than chances of gaining from a correction….. So if you get one Multibagger stock from somewhere, put your money for 2-3 years in it without worrying about short term movements of price…. You can try to understand my above point through a very practical example also…. 4 out of my 8 stocks multiplied 15-30 times in last 4 years…. And interesting thing about those 4 stocks is that not one of those four 15-30 baggers came down even 10% after my buy call….. So If I also thought of waiting for a correction to enter in those 4 stocks, I would have missed 3,000% profits which came to me in next 4 years….. I think that the point which I am trying to make is clear to investors. ← How to Find a Multibagger Stock for 10 Times Return?